DIG SD Bhanot, TM, Commanding Officer, Indian Coast Guard Ship, SANKALP presenting a memento to Admiral Maritime DatukMohdAmdan bin Kurish, DG MMEA, Malaysia on 15 March 2011 during official Call On at MMEA Headquarters, Putrajaya. 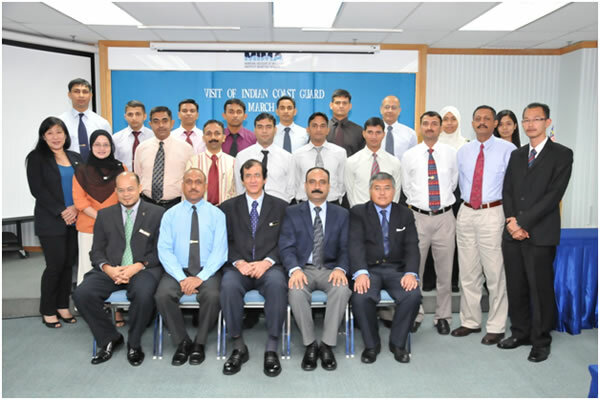 DIG SD Bhanot, TM, Commanding Officer, Indian Coast Guard Ship, SANKALP and all Officers with Dr Pola Singh, Head of Maritime Institute of Malaysia and Directors on 16 March 2011 during their visit to MIMA. 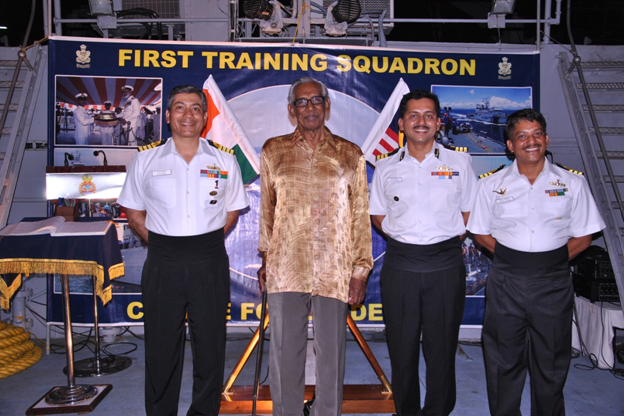 Captain Dilbag Singh, Commanding Officer, Indian Naval Ship, RANVIJAY accepting a memento from First Admiral Dato' Pahlawan Mohammad Rosland Omar of Royal Malaysian Navy on 12 May 2011 at Sepanggar Naval Base. 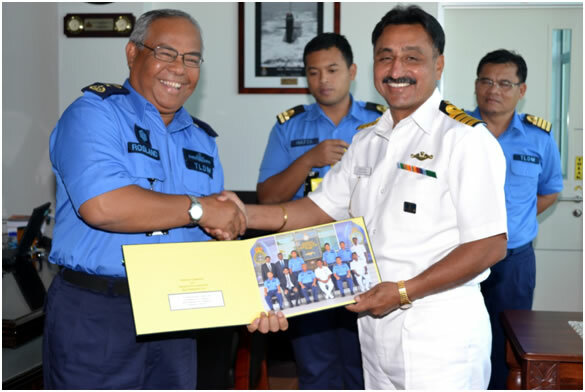 Vice Admiral Anup Singh, PVSM, AVSM, NM, FOC-in-C Eastern Naval Command presenting a memento to RearAdmiral Anuwi bin Hazan, Commander Naval Area 2 during their meeting on 13 May 2011 at Sepanggar Naval Base. 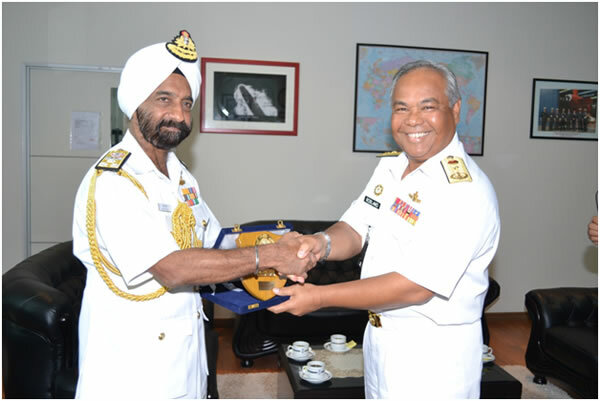 Vice Admiral Anup Singh, PVSM, AVSM, NM, FOC-in-C Eastern Naval Command p resenting a memento to First Admiral Dato' Pahlawan Mohammad Rosland Omar of Royal Malaysian Navy on 13 May 2011 at Sepanggar Naval Base. 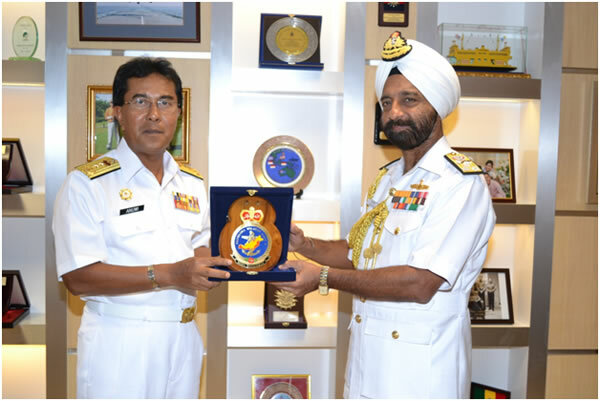 Vice Admiral Anup Singh, PVSM, AVSM, NM, FOC-in-C Eastern Naval Command presenting a memento to Rear Admiral Datuk Mohammed Noordin bin Ali, Deputy Chief of Royal Malaysian Navy on 16 May 2011 during official Call On. 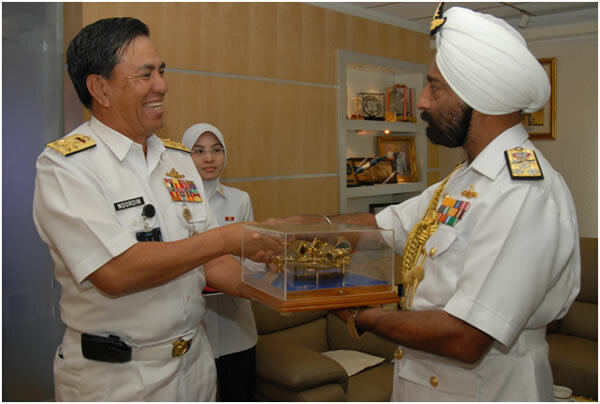 Commander Nitin Kapoor, Commanding Officer INS AIRAAT presenting a memento to Captain Hanafiah of Royal Malaysian Navy on 04 August 2011 during an official meeting. Commander Nitin Kapoor, Commanding Officer, Indian Naval Ship, AIRAVAT and all Officers with Professor Nazery Khalid and Directors of Malaysia Institute of Maritime on 04 August 2011 during their visit to MIMA. 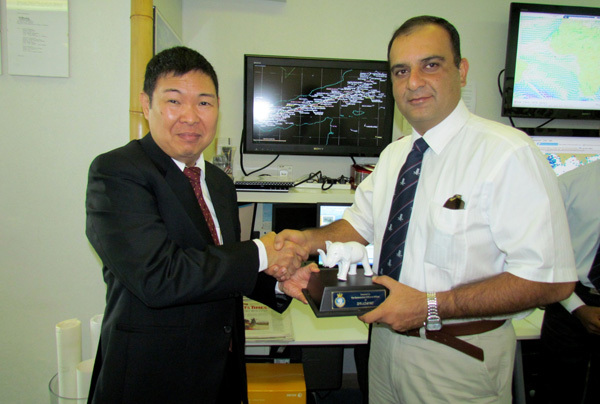 Commander Nitin Kapoor, Commanding Officer INS AIRAAT presenting a memento Mr Noel Choong, Head of Department, ICC IMB (Asia Regional Office) on 05 August 2011 during an official meeting. Capt Ajay Sirohi, Commanding Officer Ist Training Squadron presenting a memento to First Admiral Dato' PahlawanZaaim bin Hassan, Director General of National Hydrographic Centre of Malaysia on 26 August 2011 during an official meeting.